Fan Forum > TV Shows - Past > Gilmore Girls > Please Welcome Our New Affiliate "Luke's Flannel"! 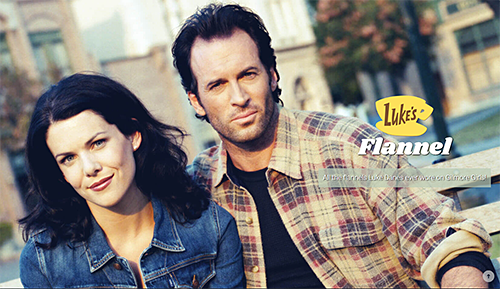 and feel free to visit this great site for an impressive collection of all the flannels Luke Danes ever wore on Gilmore Girls. You can find the link to the site at the bottom of this forum and also on our affiliates page here under 'Gilmore Girls'. Welcome and thanks for affiliating with ! Hey Yvonne! Nice to see your site as an affiliate! Don't know why I didn't think of this two years ago. But thanks. Welcome. Wow, that is very interesting and had to have taken a lot of hard work. Some of those plaids are so similar. Thanks. Yvonne! So lovely to see your site as an affiliate here! Welcome.